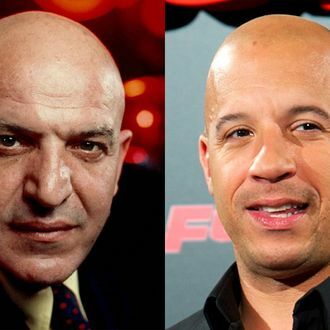 Since Procter & Gamble wouldn’t give up the film rights to Mr. Clean, Vin Diesel is moving down his list of famous bald characters, and next up is Kojak. Deadline reports that Neal Purvis and Robert Wade, writers of the previous four Bond films, have been hired to adapt the popular seventies TV show into a Diesel-starring film. After that, Diesel is looking at a biopic about the hairless cat from the Austin Powers movies. Who loves ya, Vinny?